We stayed in the Tower Suite. The tower had a great view of the water. Restored my view of B&B's. 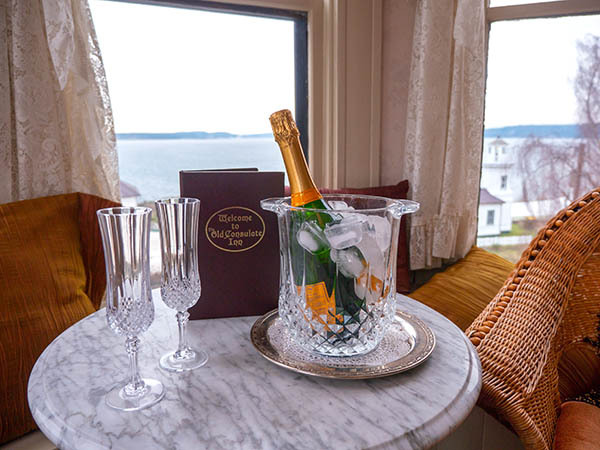 Five curved-glass windows encircle the turret sitting room with a panoramic view from Admiralty In let to the Olympic Mountains and the neighboring lighthouse on the bluff. Enjoy moonlight on the bay through the half-moon window at the pillow of your king bed. 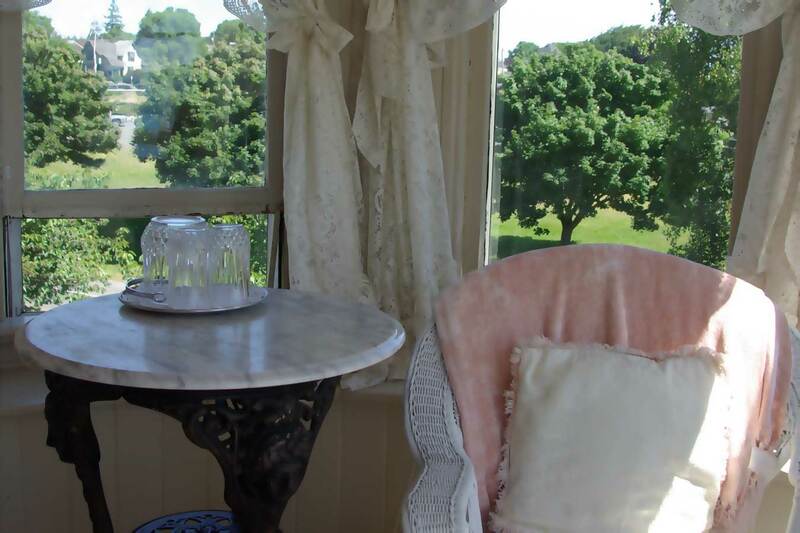 The sitting area also features a turn-of-the-century, marble-topped ice cream parlor table. Unwind in the soothing bubbles of your claw-footed bedchamber bathtub with hand-held shower. 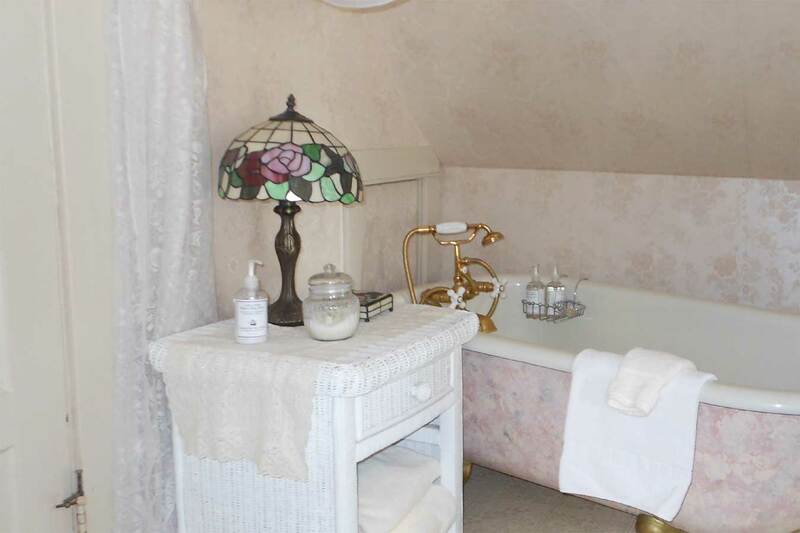 The private bath features a delightful shell-shaped sink. Previously known as the Honeymoon Suite with ivory and brass, discover why this room has been featured in national magazines! Curl up in a cozy chair with Mr. Wodehouse and a cup of tea looking out over bay, the park, and the mountains beyond!